In late 2015, AZA SAFE worked with vaquita conservation experts including representatives from the AZA community, US and Mexican government agencies, conservation NGOs, and academic institutions to identify and prioritize conservation actions. A 3-year SAFE Conservation Action Plan was developed using SAFE’s new collaborative conservation process to address those needs and includes projects that are aimed at achieving population sustainability. These projects fall within four thematic areas including public engagement, conservation capacity, policy and legislation, and economic development. Each project, designed to incorporate collaborator expertise to maximize efficiency and effectiveness, is comprised of detailed goals, actions, timelines, budgets. All projects are coordinated by AZA members who work closely with project collaborators to execute conservation actions, achieve successes, and identify future needs. More detailed information about each project can be found in the Vaquita Conservation Action Plan. A public engagement project is implemented to increase knowledge of the vaquita, totoaba, and shrimp story and provide measurable calls to action. The vaquita population is decreasing at an alarming rate and few people are even aware of the species. A widespread public engagement project needs to be launched to mobilize and implement conservation actions. The Aquarium of the Pacific’s Seafood for the Future program collaborated with NOAA Southwest Fisheries Science Center to develop Storied Seafood: Vaquita Conservation that highlights fishermen who are working to test and develop non-entangling fishing gear. A Call for Participation for Public Engagement was held to give an overview of the project and encourage iniatitive and collaboration. An information sharing site has been intiated to share materials and resources among project collaborators. SAFE Vaquita materials and resources have been developed for AZA members and partners to use to create their own ‘Vaquita Exhibit” so their interpreters and staff can easily share the Vaquita story with their guests. 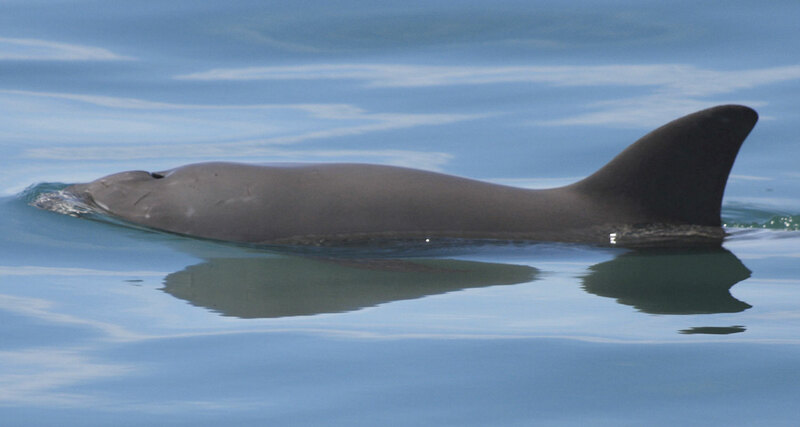 A mobile giving platform is being developed for AZA members and partners to use to engage their visitors in a fundraising challenge to support the SAFE Vaquita Rescue Project. A letter writing platform is being developed for AZA members and partners to use to activate their audience in asking the Mexican government to promote the establishment and enforcement of a permanent gillnet ban, implement testing of appropriate alternative fishing gear, and support the development of alternative and sustainable livelihoods in local communities. The Mexican government has determined that emergency action is needed to temporarily remove some vaquitas from their threatening environment and create a safe haven for them in human care. Less than 30 vaquita remain and their extinction is imminent. An international team of experts, including AZA members, has developed an emergency action plan that involves finding, catching, housing, and caring for vaquitas in San Felipe, Mexico. 115 AZA-accredited aquariums and zoos have raised over 1.2 million dollars to support these efforts since 2/22/17. 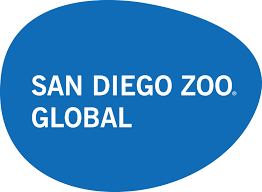 AZA-accredited aquariums and zoos have a successful record of helping to save species that were in a similar positions including the California condor, golden lion tamarin, and black-footed ferret and are ready to provide their expertise to also help save the vaquita. Assist with a “Culinary Conservation Program” that provides a “menu” of options for AZA-accredited aquariums and zoos to incorporate into their business practices, visitor/community outreach programs, and local/national advocacy efforts to maximize consumer purchasing of vaquita-friendly products. Commodities are available for purchase that are sourced from harmful practices to the vaquita. Derelict fishing gear will be removed from the vaquita range and alternative fishing gear, that meets fishermen needs and eliminates vaquita bycatch, will be tested. Large amounts of active and abandoned fishing nets are left in the vaquita range; these derelict or ‘ghost’ nets need to be removed to reduce both the rate of animal bycatch and alternative fishing gear entanglements; Alternative fishing gear needs to be identified that meets the economic needs of fishermen while simultaneously eliminates vaquita bycatch. AZA’s Senior VP of Conservation and Science attended a workshop held in Merida, Mexico, on alternative fishing gear that will be tested in 2016 and 2017. The coordinator is identifying individuals from AZA accredited institutions to serve as independent observers on the fishing pangas that will be testing the gear. ☑ Project funding opportunities available. ☑ Project funding partially secured. ☐ Project funded. Provide alternative sources of income to local fishermen in the communities of San Felipe, Santa Clara, and Puerto Penasco. Local fishermen are in need of sustainable income sources that relieve the need to fish as sole income, particularly in the vaquita refuge. Contact SAFEvaquita@aza.org to learn more about this project and the Project Coordinator role. Bolster a value chain and economic impact analysis of bycatch species from gillnets to evaluate traceability and transparency. Market vaquita-friendly products at premium prices. Markets are saturated with products that cannot be traced. The amount and value of bycatch, specifically vaquita, from the Upper Gulf of California remains unknown. The temporary gillnet ban in the vaquita range of the Gulf of California is made permanent and ongoing monitoring and enforcement capacity is maximized. The use of gillnets are the primary threat to the vaquita population. Vaquitas become entangled and drown. Mexico's President Enrique Peña Nieto announced a permanent gillnet ban in July 2016. AZA commends the President for this important action towards saving the vaquita. Due to the permanent ban, this project has been cancelled. However, the exact plans for the permanent implementation of the ban with respective enforcement and compliance have not yet been announced. AZA is following these important discussions. A petition was created to encourage support for a permanent gillnet ban and increased enforcement in the Gulf of California.